Gebel Katarina, the highest mountain in Egypt, rises to an impressive 2,624 metres tall – and yet the depths of the Red Sea could easily swallow it whole. Known as Bahr al-Ahmar in Arabic, the Red Sea has tantalised travellers for years with its impressive marine environment; home to colourful corals and rich acquatic life, and surrounded by seaside beaches with shady palms. Geologically, it started to develop when the plates of Arabia and East Africa shifted away from each other and eventually broke apart, around 20-30 million years ago. However, the Red Sea itself is a relatively recent opening, making it one of the youngest oceanic zones on earth. The waters of the Red Sea flow through the slender Bab-el-Mandeb strait and the Gulf of Aden in the south to connect to the Indian Ocean. In the north, the Red Sea splits into two – turning into the Gulf of Aqaba in the east, and Gulf of Suez to the west, where it trickles through the manmade Suez Canal to only just join the Mediterranean Sea. Construction of the Suez Canal was completed in 1869, and this linking of the two seas made Egypt a strategic crossroads. In 1882, British troops occupied the county, and Egypt was more or less a British colony until 1922, when it resumed its independence. 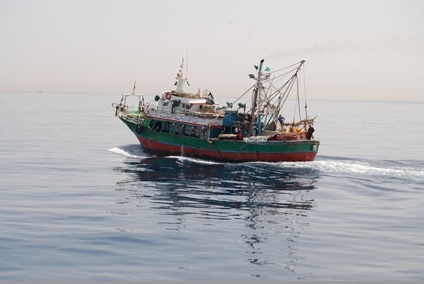 There are nine countries that surround the Red Sea, and the waters provide recreation facilities, and support an essential fishing industry for all. Unfortunately, the coastal environment is fragile; and the shoreline and near-shore waters are under pressure from industry and local populations. Gulf of Aqaba 180km in length, 25km wide (narrow in the north, and widening in the south), and maximum depths of 1,850 metres. Although the Red Sea is more than 2,800 metres at its deepest, there are points where it is quite shallow – in fact, around 40% of its area sits under 100 metres, while 25% is even shallower at less than 50 metres. The points where the Red Sea is deeper than 1000 metres consists of around 15%. A shelf break, which is where the continental shelf falls away and turns into a continental slope, is marked with coral reefs, while the continental slope itself is stepped and irregular. 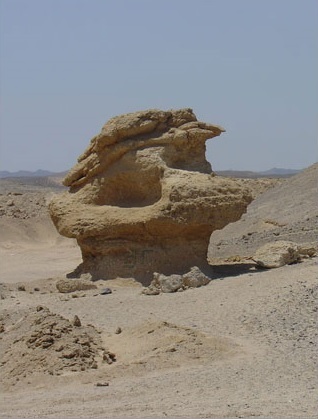 Interestingly, the waters of the Red Sea have receded over many years, and evidence can be found as high as the mountains to prove that it was once partof the seafloor. 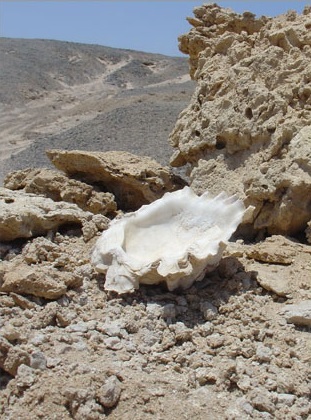 This clamshell was found in the mountains, a few kilometres away from the city of Safaga. These, strangely enough, are mangrove roots embedded into the mountainside. This was taken on the way to Makadi Bay, south of Hurghada. Mangroves are able to survive in such saline conditions as they have special glands on their leaves, which help the tree shed excessive salt. Meanwhile, in Egypt, scientists are working to ensure the rehabilitation of these mangroves; and honey is also being produced from mangrove flowers. 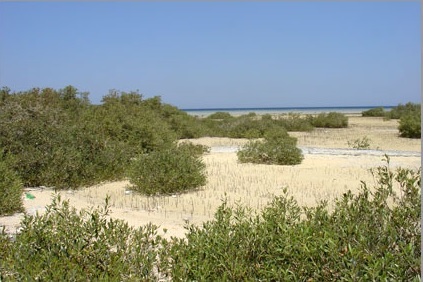 Finally, mangroves growing in a small bay near the Ras Mohammed National Park are the most northern in the world. The weather around the Red Sea tends to follow the general pattern of what you would expect throughout the year, experiencing colder weather in winter, and warmer temperatures during summer. However, there tends to be a week at the beginning of January where the cold weather breaks, often followed by a week of storms. The end of November also sees a relatively stormy week, though most of the time the weather is pleasant and calm. The table below shows the air and water temperatures in degrees Celsius. The table below is measured in knots. For daily forecasts, please visit Windfinder. In general, visibility tends to be better in winter than in summer, though of course this is not a strict rule. Depending on the intensity of the wind, the waves can push silt into the reefs, limiting visibility to around 15 metres. However, this low visibility can often mean more action for snorkellers – floating plankton attracts small fish to the open waters, while these are hunted by even larger fish. Therefore, whether you choose to visit in low or high visibility, you are sure to encounter marine life. The range and strength of the tides is dependent on where you are, and the season. 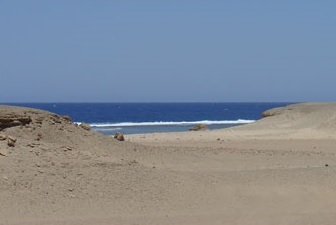 In the north near the Gulf of Suez, the tide can hit 0.6 metres, while near the Gulf of Aden in the south it can be as high as 0.9 metres. The central area of the Red Sea (around Jeddah) is basically tide-less; though the wind can impact this depending on its intensity. Winter brings slightly higher water levels, at 0.5 metres above those in summer. The velocity of the tide becomes more intense when concentrated around low islands, reefs and sand bars – the constriction of space means velocity can exceed 1-2 metres per second; though generally you can expect a calmer current of 50-60cm per second. 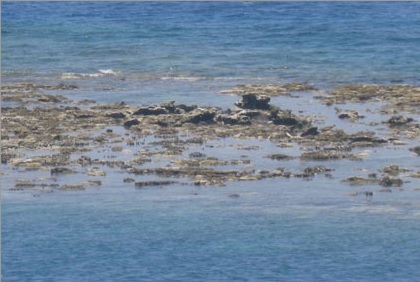 At times, the tide can recede to the point where you can spot reefs above the water level. Very rarely, the tide will also get so high that beaches can flood. The rich biodiversity of the Red Sea is one of its greatest assets. With some of the most impressive marine and coastal environments, it is home to spectacular fauna and flora – from innumerable species of fish to stunning coral reefs that thrive in and around mangroves, sea-grass beds, saltpans and salt marshes. In 2009, the Egyptian Red Sea was declared a ‘no-catch zone’, protecting the biodiversity of the reef and banning fishing boats from the area. Remarkably, the Red Sea is the most saline open sea in the world, and salinity of the water rates at approximately 38%. The levels are so high due to the circulation of water, and the evaporation and wind patterns. The water itself is relied on by many local populations and industries along the shores of the sea, and there are plenty of desalination plants to provide clean water. However, these often release chemicals such as chlorine into the water, which can bleach coral and deplete the marine life. Oil refineries and other factories also use the water for cooling, which, when drained back to the sea, may cause harm on coastal zones. Another unique feature of the Red Sea is that there is no river that flows into it. Therefore sediment makes its way to the sea by rain and wind, or by wadis, which are valleys with seasonal streams. 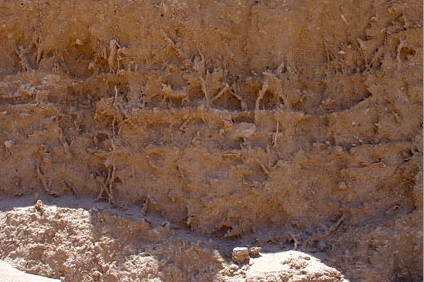 The coastal sediment consists of small coral fragments, molluscs and algae, which range from very fine sediments to sand and gravel sizes. All the islands in the Red Sea are protected areas, with Egypt’s offshore islands – the Brothers (Al Akhawein), the Rocky Islands, Zabargad and Daedalus (Abu El Kizan) – earning the status in 1983. 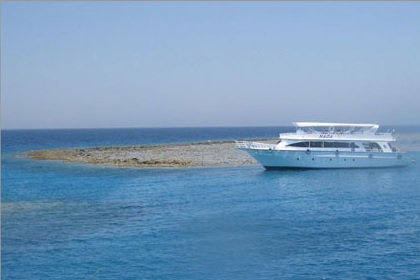 The Egyptian Environmental Affairs Agency (EEAA) supervises all the marine parks in Egypt. If you would like to know more about the organisation, please click here. There are two types of marine parks; ones of which charge fees, and the others that do not. Do not be put off visiting those that charge fees – this income is important to ensure the continued conservation of the natural environment.